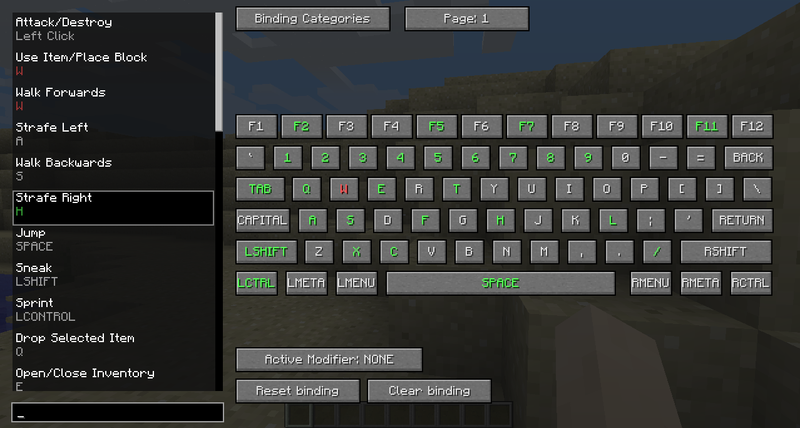 Keyboard Wizard shows a visual representation of a standard QWERTY keyboard, allowing you to easily find keys that are unbound or conflicting. By default, the GUI is opened by pressing F7. Please post your issue on GitHub along with this log and steps to reproduce. Thanks. Hey, I just wanted to tell you that you and your mod are a godsend! Cheers! You made an overworked student's day, my friend. Hi just a VERY IMPORTANT question. With this mod, are we able to turn the controls we want to NONE ? And if we can, how ? Ok thx. I didn't see it because of my bad english. Your mod looks pretty cool. Is this mod client side only? Good to know, I'll look into it. This is back "Fixed a bug where bindings would not persist between launches"
The fix to the numpad worked though. Can you put your issue, along with a mod list and steps to reproduce, on GitHub? Can you add more than one modifier, like it seems rebind can (albeit not in game)? 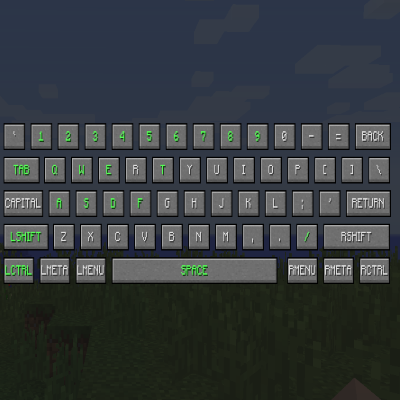 Does it recognize localized keyboards? And 101 vs 102 key keyboards? The latter had a smaller left shift with one key left of the z-key?